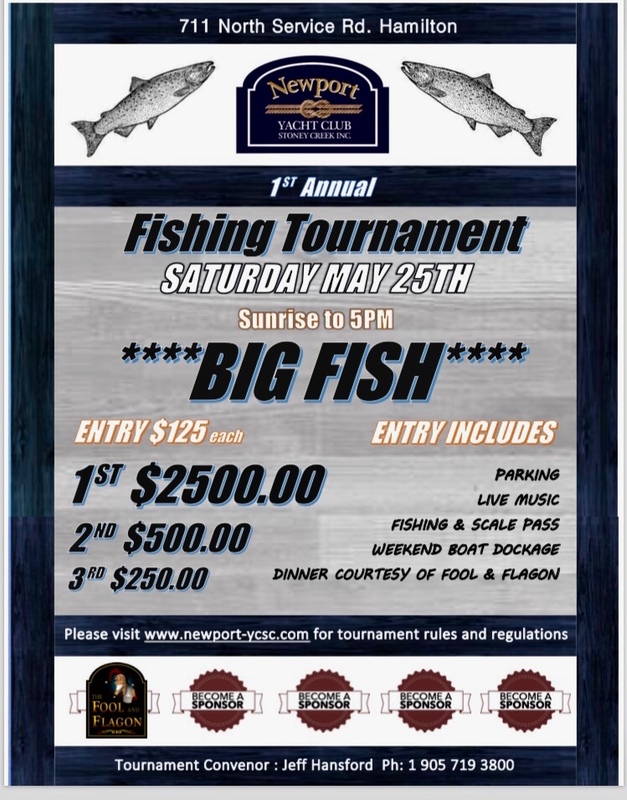 All angler’s tickets must be purchased and vessels registered prior to tournament commencement-Sunrise May 25th 2019. Any and all Person(s) present on vessels during tournament hours engaged in the activity of fishing shall be tournament ticket holders. All fish shall be weighed in before tournament weigh station closure and only by anglers holding a valid fishing and scale pass obtained at time of registration. All data recorded on the official weigh-in form shall be final. If there is a tie for any prize based on weight, the winner will be the participant entering the first fish according to the data and time recorded on the official weigh-in form. In the event of any other tie or dispute the decision of the Derby judges will be final and binding on entrants. A fish may be entered only once and will be marked with a hole punched in the gill plate or cut dorsal fin at the weigh-in station. Only fish that are whole may be entered. Fish with snag, foul hook, gaff or gill net marks, even if taken legitimately by the participant, will not be accepted; nor will fish that have been frozen or are badly deteriorated, washed out and dead for a long period of time. There will be one Grand Prize awarded to the participant who enters the heaviest fish overall in the tournament. This fish shall be recognized as a sportfish in open season caught by legal and ethical means as outlined in Ontario Ministry of Natural Resources Sport fishing guidelines. An active leader board will be posted on Newport Yacht Club social media platforms and will be made available via VHF radio correspondence with tournament officials, Newport Yacht Club encourages all anglers to release their catch should it be of a lesser weight than that of the current 3rd place fish. All Vessels participating in the tournament shall meet all laws and regulations regarding safe use, current registration, safety equipment and qualified operation. By purchasing a tournament ticket you acknowledge the vessels used to participate are fully compliant with said laws and regulations. In the event of foul weather unsafe for open lake angling, the tournament shall be postponed to the rain-date provided, no refunds shall be given in the event of a foul weather scenario.